A look of laid-back luxury is yours with this necklace from Roberto Coin's Princess Flower collection. 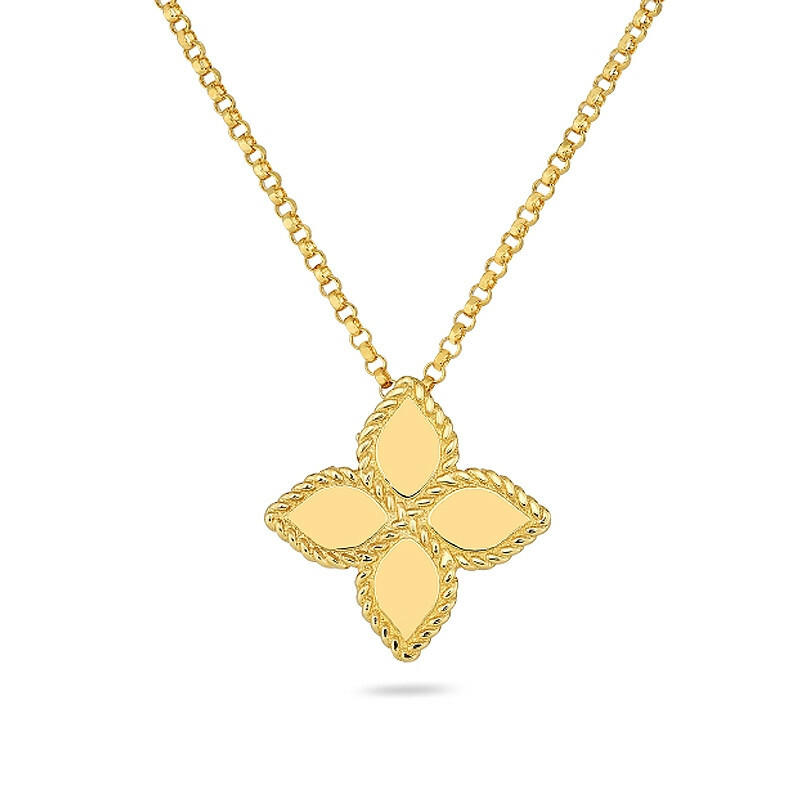 Crafted in 18K yellow gold, a medium-sized four-petal pendant with twisted precious metal trim floats on a chain necklace. This Roberto Coin pendant necklace presents a romantically shaped piece of jewelry that will take you from day to night, weekday to weekend, and season to season.